A day off of the bicycle doesn't mean a day spent inside. 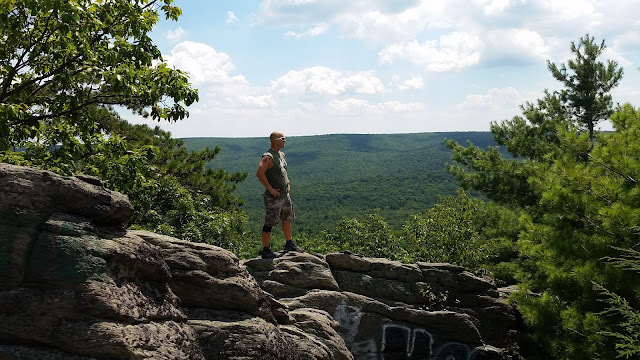 With the end of summer in view, and the school year encroaching soon, I took my sixteen year old son, Alex, and his buddies (Robby and Austin) to Michaux State Forest for a day of hiking, picnicking, and exploring. Our day today was split into three parts. We planned to hike up through Tumbling Run Game Preserve, have a picnic lunch at the furnace stack in Pine Grove Furnace State Park, and then hike up to the top of Pole Steeple. 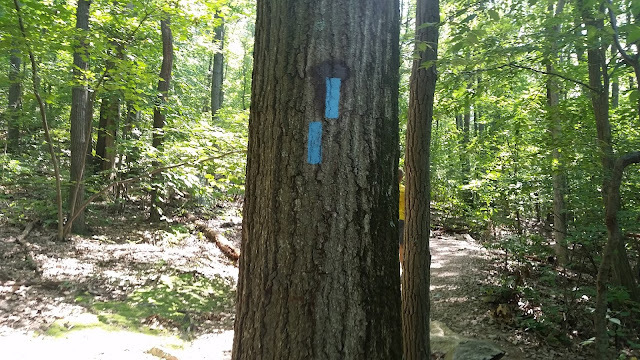 Although the trail head at Tumbling Run is not marked, it is easy to get to if you know what you are looking for. 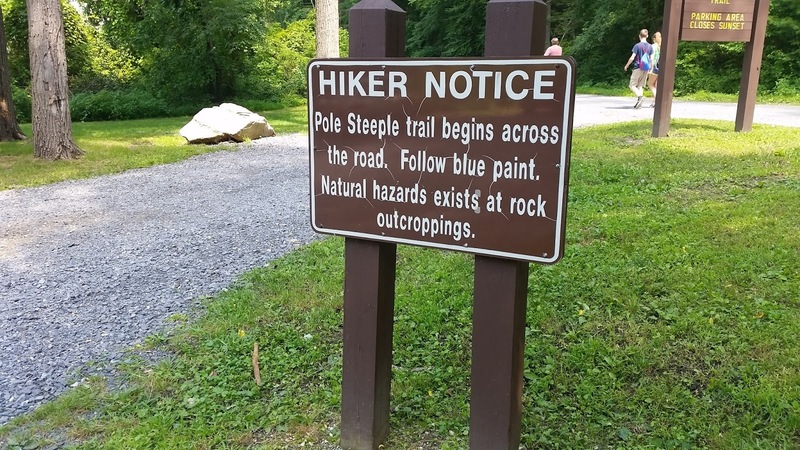 After passing Pine Grove Furnace State Park on state route 233 (headed South) you will be looking for a obvious gravel parking area located on the right between Woodrow Road and Dead Woman's Hollow Road. 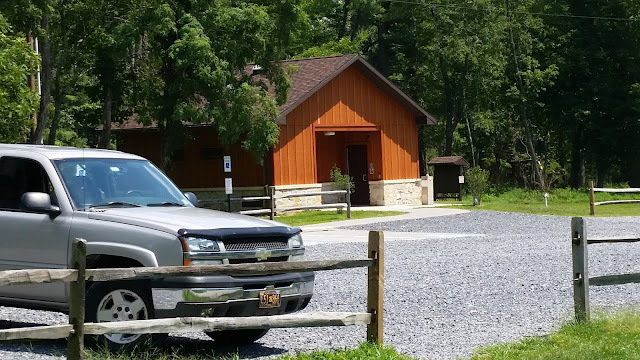 It is important to know that the last "nice" bathrooms are located at the furnace stack at Pine Grove Furnace State Park. 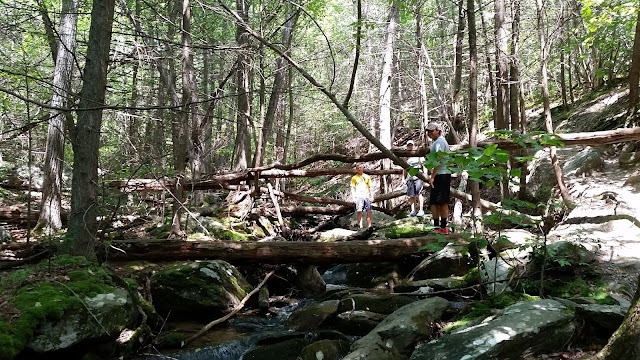 Once at Tumbling Run, if nature calls, you are on your own. 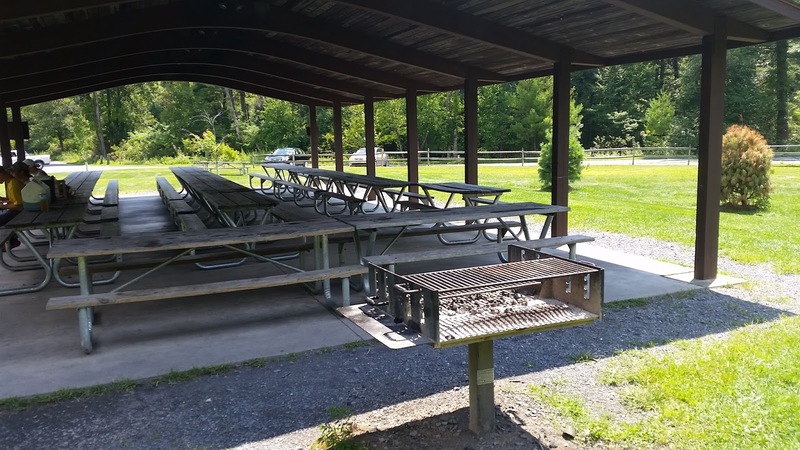 The furnace stack area at Pine Grove Furnace offers plenty of parking and the Taj Mahal of state park bathrooms! to the top. You will find, however, that the trail deviates a lot. As long as you keep the main stream close by you cannot get lost. The hike starts with a stream crossing which is your first opportunity to "get your feet wet." Soon you will come across the "elephant" tree. Your first indication that you are, indeed, on the correct trail. 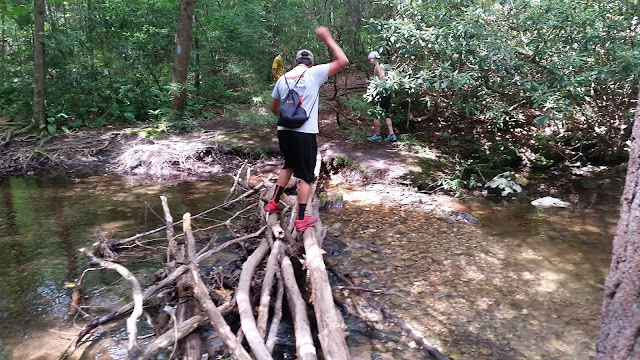 Robby crossing the stream at the trail head. Elephant tree. Pretty cool, if you want my opinion. 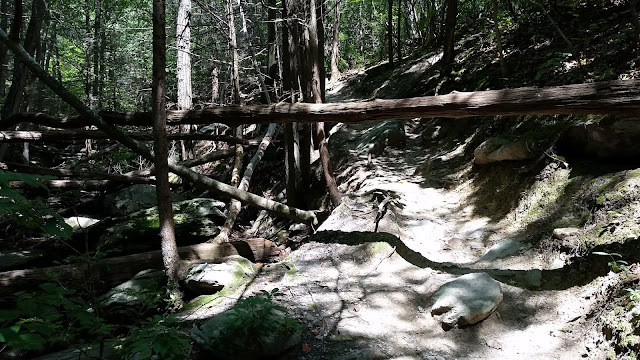 As you move up the trail you notice that it will get progressively more steep and progressively more beautiful. Watch your step going over, under, and around the multitude of downed trees. The path is sometimes obvious...but with obstacles! It won't be long before you begin to hear the waterfalls. They are extremely beautiful and fun to climb next to. Be sure to stay to the right of the falls as you make you way up. 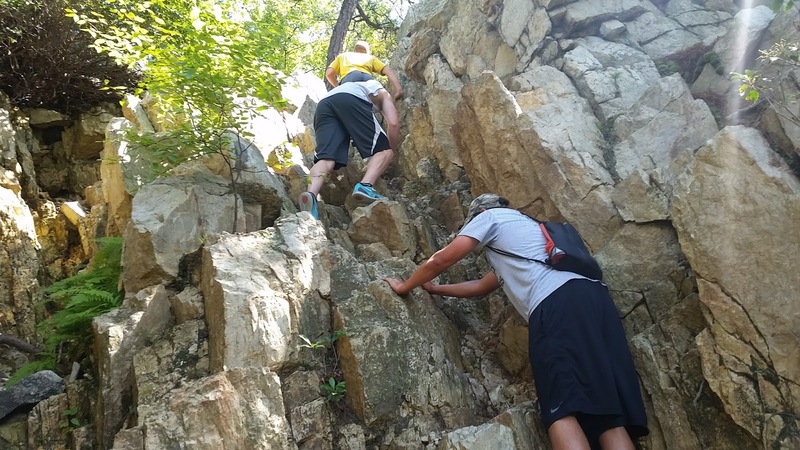 It is, in my opinion, the easiest way to make the trek to the top of the rocks. The path to the top of Tumbling Run deviates based upon the time of year. In early Spring most of this is under water. Alex, Robby, and Austin hiking up the waterfalls that run through Tumbling Run. The trail to to top of Tumbling Run gets pretty steep. Once at the top, the view is breathe taking and well worth your effort to climbing to the top. 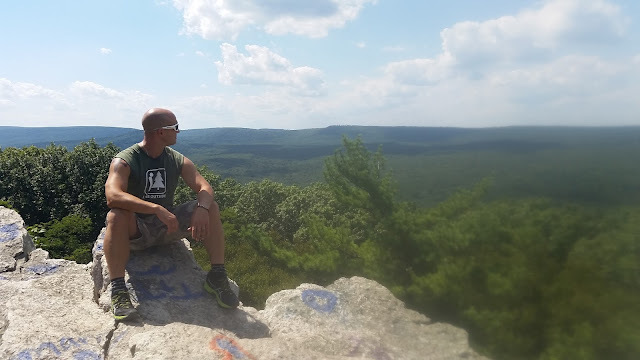 Make sure to budget enough time to relax at the top and take in the view! Top of Tumbling Run. This is the spot were I asked my amazing wife, Robin, to marry me! 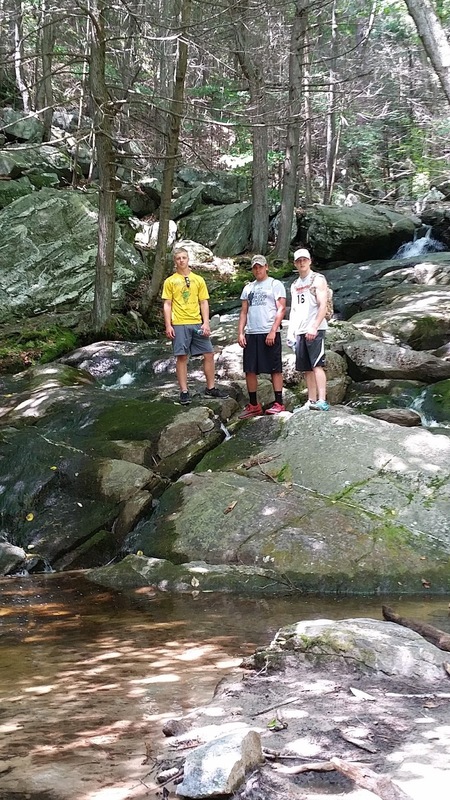 If you plan to hike Tumbling Run with three 16 year old boys, plan on bringing food for a picnic. 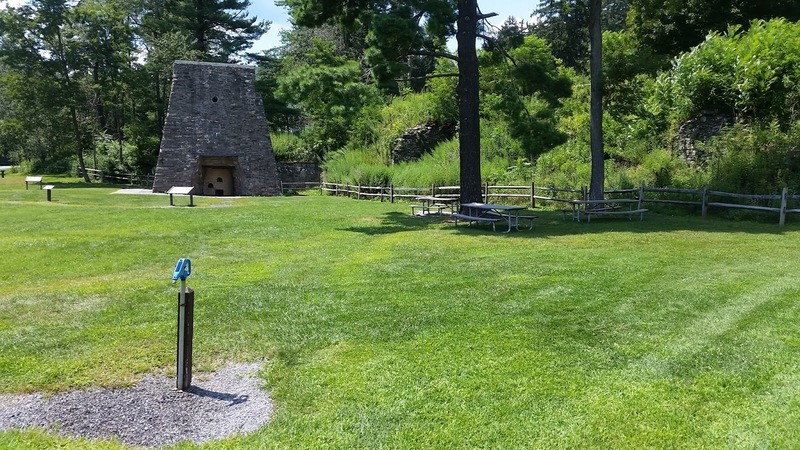 The furnace stack pavilion at Pine Grove Furnace State Park is the perfect spot. Plenty of parking. 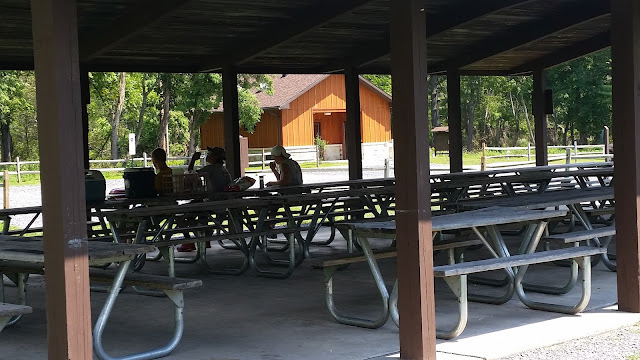 Lots of picnic tables, and very relaxing. 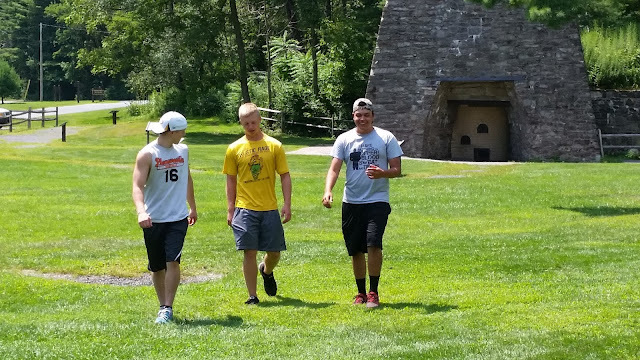 Alex, Robby, & Austin enjoying lunch at Pine Grove Furnace State Park. Alex didn't pack enough water. 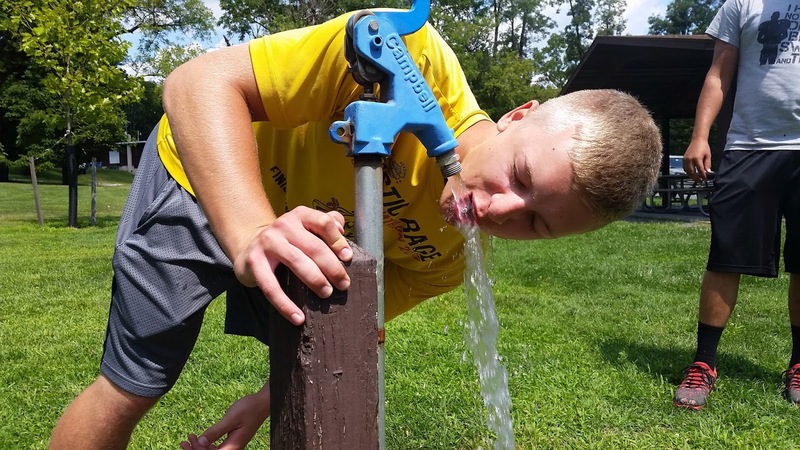 The pump came in handy. Water pump and furnace stack at Pine Grove Furnace State Park. Austin, Alex, and Robby exploring the old furnace stack at Pine Grove Furnace State Park. 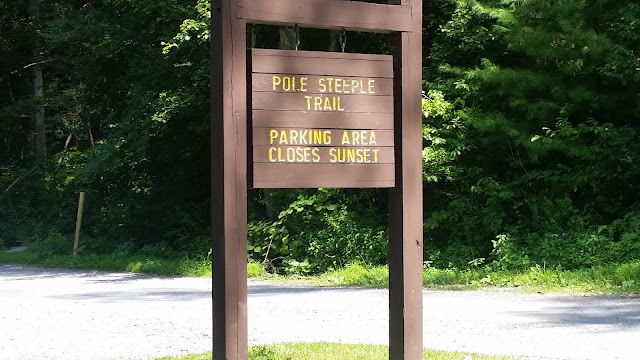 Pole Steeple Trail is probably the most popular and well known trail in Michaux State Forest. 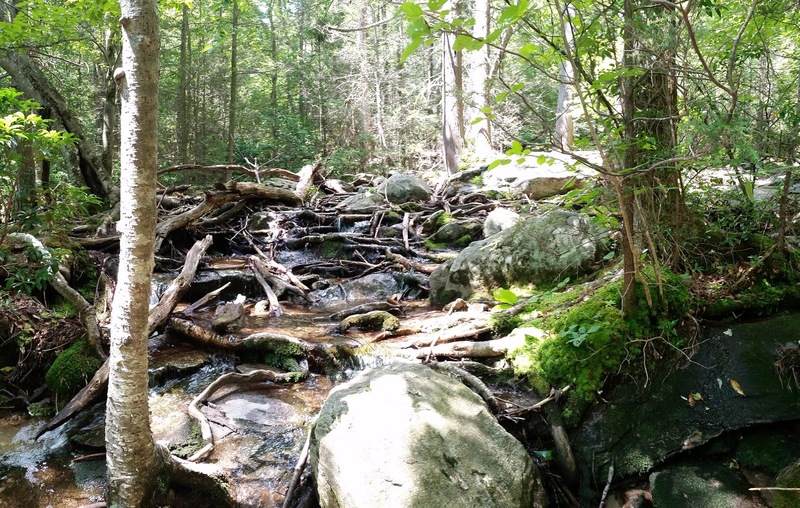 It is located above Fuller Lake in Pine Grove State Park. 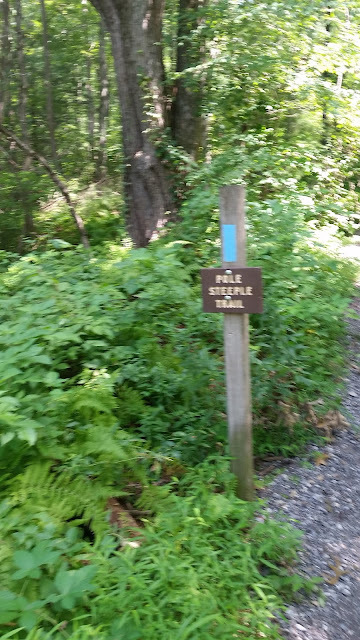 The trail head is plainly and clearly marked. It is also a heavily traveled path. Today, on a Wednesday, in the middle of the day, we encountered over twenty people enjoying Pole Steeple. It is impossible to get lost. Just follow the blue blazes all the way to to the top. Along the way you will encounter at least four visible charcoal terraces. Charcoal Terrace on route to the top of Pole Steeple. A charcoal terrace is a spot in which wood was slowly burned in order to create charcoal to fuel an iron furnace. You can see a multitude of these in Michaux. 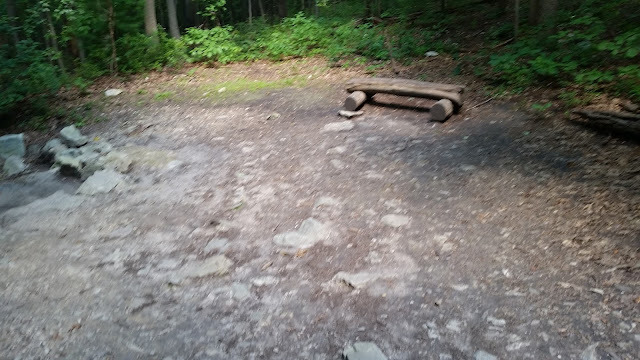 The particular terrace has a bench for you to take a rest on while making your trek to the top of Pole Steeple. Speaking of getting to the top...you always have a choice of "steep" or "less steep." These paths are clearly marked. 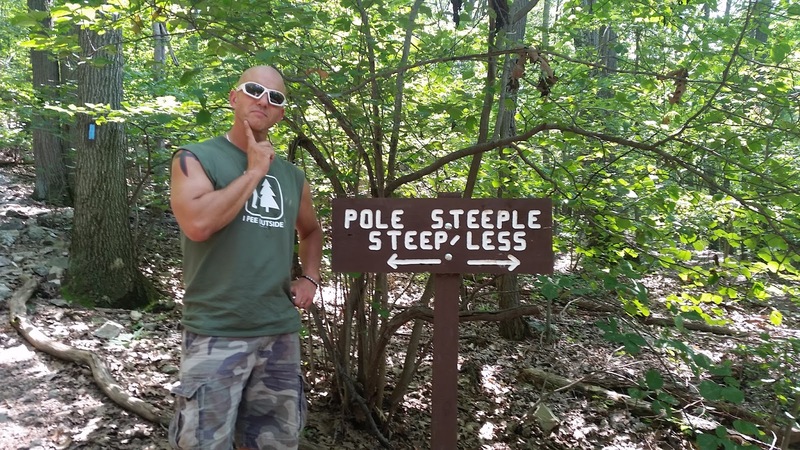 Pole Steeple Trail offers choices. 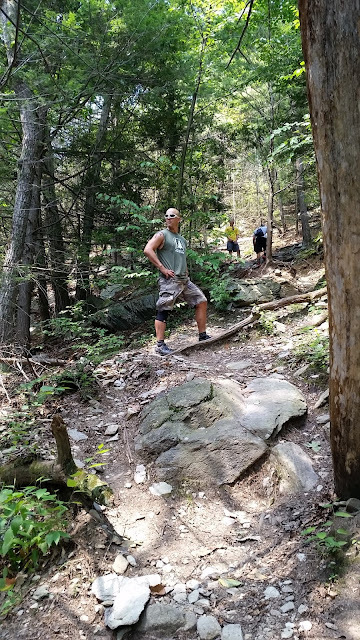 I have always opted for steep on the way up and less steep for the way down...it is so much easier on my knees. Alex, Robby, and Austin taking the "Steep" trail to the top of Pole Steeple. The view at the top is even more spectacular than the view at Tumbling Run. Just use caution. It is a long fall off of those rocks with absolutely nothing to stop you. View from the top of Pole Steeple. You can see Fuller Lake in the distance. 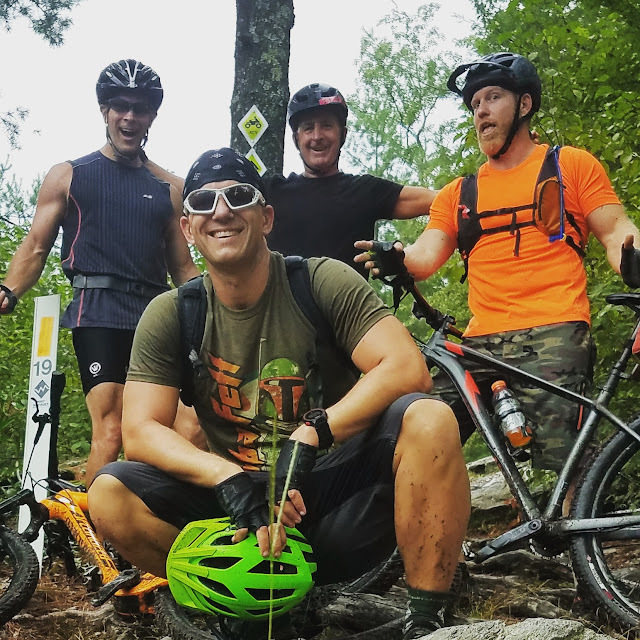 Remember...All Trails Lead to Ice Cream! 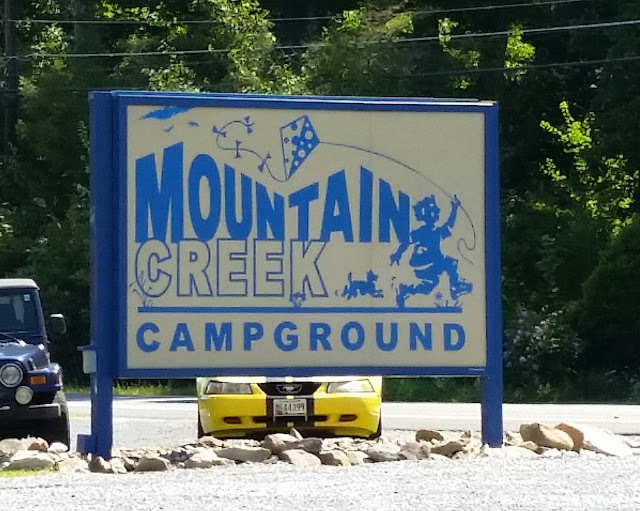 Mountain Creek Campground north of Michaux State Forest on state route 233. Just outside of the Michaux State Forest, heading north on 233, be sure to stop by Mountain Creek Campground for some amazing ice cream from the camp store. It's always the best....large selections, large portions, & small prices. Can't beat it! 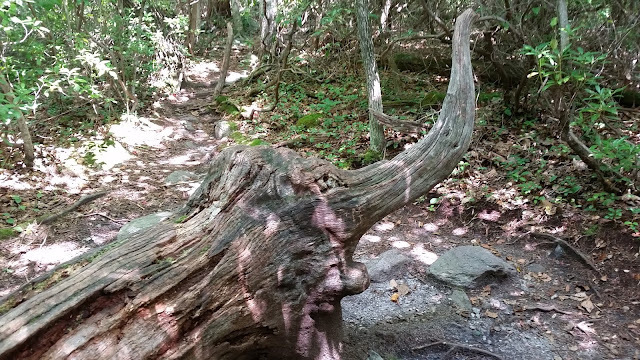 My first best essay writing service review﻿ was about my hiking experience, that's why this post reminds about wonderful times spend in the forest.